Exchange with genuine bolt at the time of maintenance of American made tools. The accuracy is better than the bolt made in the USA, workability is improved because there is no catch at the time of fastening. This review is about item#42220771. Goods are as specified and no problem. I hope I can buy one and shipping costs will not be charged by postal mail. This review is about item#42220805. It is for receiving camera screws. I am using it to receive the camera screws, the quantity of one bag is just a good number for prototyping. It was saved because the sales unit was appropriate amount. Camera threads are almost 1 / 4W in Japan. Because the tripod is a large screw, it does not match the 1/4 W head of the hand, and this screw was needed to join the stay by hand in the middle. I could not find it even by going around the home center or the camera store and I am satisfied that I can purchase it with Mr. Monotaro. This review is about item#42220823. The nut of old wardrobe handles was loosened and lost, which made it inconvenient to fix the handle. It took time to identify the Unify No. 8 Mountain 32 Nut, and it was not even sold to a neighboring home center, and the tool shop showed a tremendous price of 500 yen per unit price. Where I was in trouble instead of substituting for M4 nut, I came to Monotaro. I am satisfied with the product, but since it is a super small product entering an envelope, I wanted it to be used even outside the fixed form. I can understand that I can not trace because I can not pursue it. 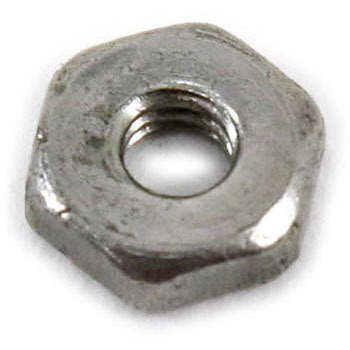 The combination of round W and SW was firmly fixed to this nut. Information on the homepage was enough and I was able to purchase a nut of the size I expected. Quality is also sufficient. When used for imported goods assembly, there is no nut, so I searched and purchased, but there is no problem in use. This review is about item#42220787.